School starts in a week around here for my kids and early September for preschool. 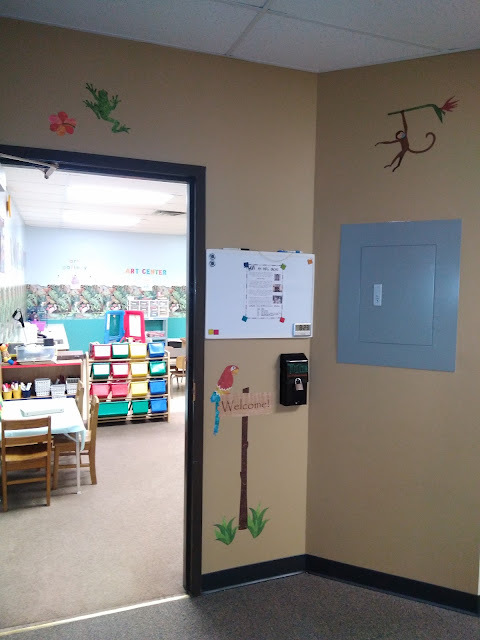 I have been working SO HARD this summer to give my new preschool room a new touch and a fun feeling for the preschoolers! 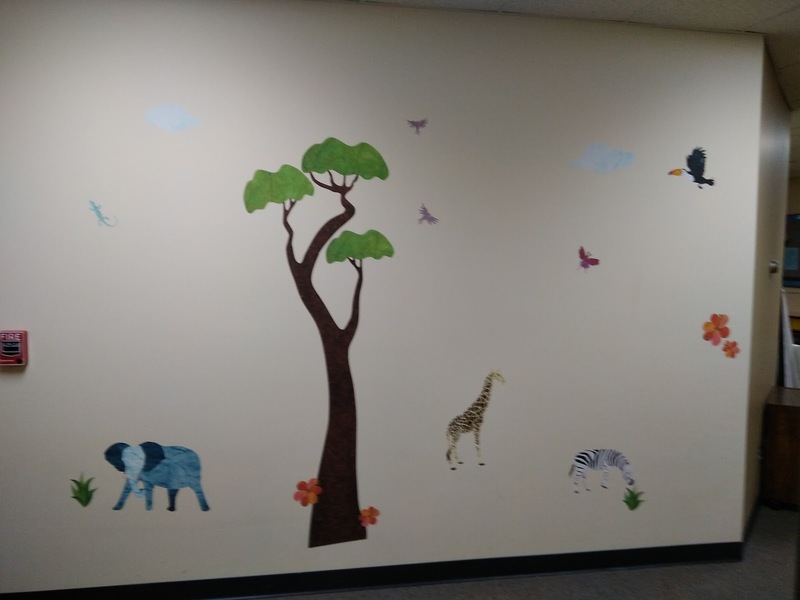 My final touch in the hallways on the way to the preschool room looks so CUTE thanks to My Wonderful Walls and their Jungle Safari Wall Decal Sticker Kit - JUMBO SET. 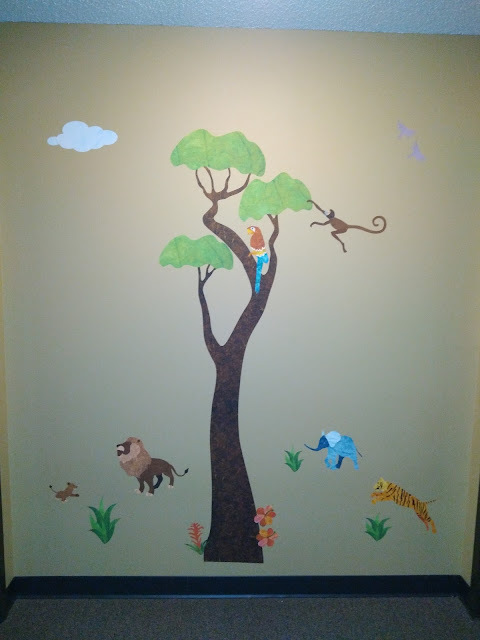 I was literally able to create a colorful and wild jungle safari for IN MINUTES with these jungle wall stickers. They were so easy to put up, tear-resistant and removable and restickable for my OCD on having things just right! The Wild Jungle Safari Wall Sticker Kit contains 45 large repositionable jungle wall stickers, making a jungle room transformation fast and easy to do. These wall stickers are made from SafeCling™, an innovative fabric adhesive material that is repositionable, removable, and reusable. Plus, you can even choose to personalize it like I did! These jungle safari wall stickers have a unique design and organic look that is truly magnificent! They've achieved a “handmade-paper-meets-wall-sticker” look that is quite remarkable. This jungle mural kit contains two large jungle trees, giraffe, mama and baby elephant, tiger, lion and cub, zebra, macaw, toucan, lizard, tree frog, swinging monkeys, butterflies, hummingbird, and jungle flowers, plants and clouds. It was such a great mix of animals, trees, grasses and sky. They peeled off easily, stuck on quickly and looked so great! I got compliments on them on them from everyone who saw them! 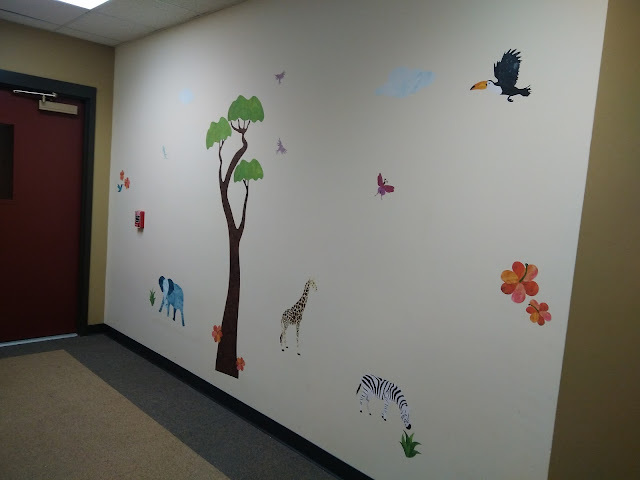 It has brightened up the hallways and really made it fun for the preschoolers headed to school! These wall stickers are really a great option for people who like instant makeovers, enjoy decorating often, or don’t want to make a permanent change to the walls. And you’ll love the wall sticker material. It is virtually impossible to mess up and leaves no sticky residue when you remove it from your walls! I HIGHLY recommend wall stickers from My Wonderful Walls for all your rooms! You can purchase these wall decals and many more from the My Wonderful Walls website. And make sure to use discount code RSAUG15 for 15% off any order. Expires 9/16. My Wonderful Walls is generously offering (1) $100 gift certificate to a lucky winner!